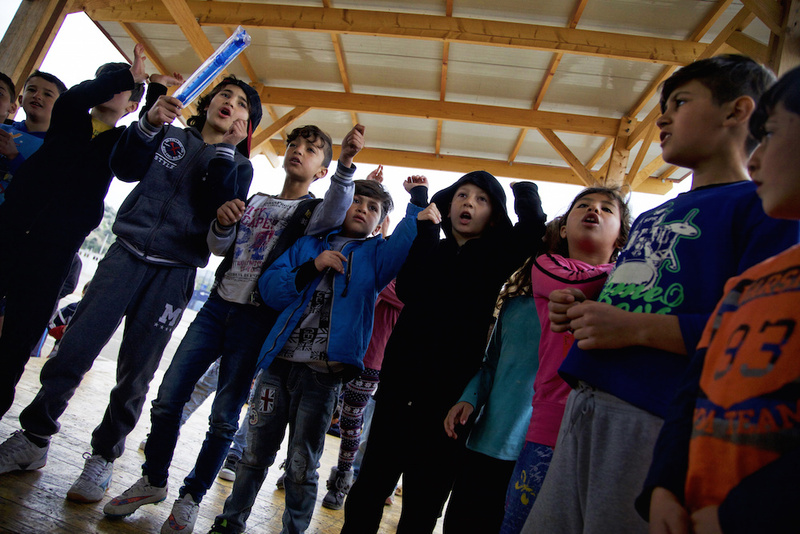 In February 2017, il pomo d’oro went to Greece for the first time to work with refugee children in the camps. It was an overwhelming experience, organised by El Sistema Greece and the Impact Hub in Athens. Our musicians were deeply touched to see how music brings back happiness, energy and life into the souls of these little human beings, living under difficult and often depressing circumstances. We went to Athens 5 times in 2017, and every time it was amazing to see the progress the children made in their musical education. Thanks to your generous donations, we are now able to finance the ‚import’ of expert teachers from the original El Sistema Venezuela project for one year. They work with the children continuously and systematically after the El Sistema method and integrate our musicians as peers. We will keep you posted about our activities on social media and on our website. Please support this important project. It heals mental wounds, it brings back vital energy, opens unexpected perspectives and creates a strong experience of learning and improving together. El Sistema was founded 1975 in Venezuela by José Antonio Abreu and since then, by providing free musical education, has transformed the lives of hundreds of thousands of children. It is a visionary youth music program that seeks to effect social change through the ambitious pursuit of musical excellence. It focuses primarily on children living in critical social conditions with the fewest resources and greatest need. El Sistema’s approach to music education emphasizes intensive ensemble participation from the earliest stages, group learning, peer teaching and a commitment to keeping the joy and fun of musical learning and music making ever present. The teaching method has been continuously improved and is now being adopted by El Sistema-inspired projects all over the world. El Sistema Greece is a community project that works in the refugee camps and with the immigrant communities in Greece. It has been developed together with El Sistema in Venezuela and adapted to the reality of the migrant families.